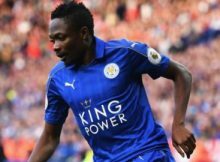 Super Eagles forward Ahmed Musa posted a good performance for Leicester City in their 2-0 Premier League 2 (reserves league) win over Chelsea reserves at Holmes Park in Leicester on Friday evening. Leicester took the lead in the 25th minute of the game courtesy of George Thomas who profited from Musa’s assist. 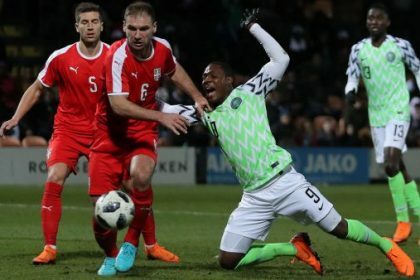 The Nigerian was denied a goal scoring opportunity to score in the first half but his shot was eventually saved. 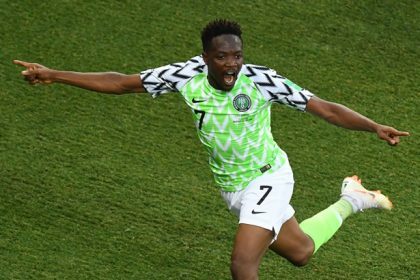 Leicester’s reward for a combative start to the clash came on 25 minutes when Musa broke free of his man to slide it across to Thomas, who finished neatly into the roof of the net. Beaglehole’s side protected their advantage well but the visiting Blues emerged from the break rejuvenated, going close within seconds of the restart through Isaac Christie-Davies. But all the drama would ultimately unfold at the opposite end with Thomas putting in another creative display, sitting just behind the forwards in Whetstone. With just over 15 minutes remaining, the ex-Coventry man curled a wonderful strike into the top corner to cement City’s dominance. City: Iversen, Johnson, Pascanu, Hughes, Benalouane, Knight, Dewsbury-Hall (Kaba Sherif 82), Choudhury (c), Musa (Martis 90), Thomas, Gordon (Muskwe 72). Subs not used: Bramley, Ndukwu. Chelsea: Bulka, James, Chalobah, Ampadu, Grant, Sammut (c), Sterling, Maddox, Muheim (Hudson Odoi 45), McCormick (Brown 68), Christie-Davies. Subs not used: Colley, Russell, Da Silva.